The best way to clean a coffee maker is to begin with the inside and work your way out. Mineral deposits are often responsible for poor coffee making performance, but this can be overcome with the proper cleaning techniques. When the inner workings of the coffee maker become dirty and clogged, this can affect brewing time, heating and the taste and quality of your coffee. The editors of Reader's Digest recommend that you clean your coffee maker after every 80 brewing cycles for soft water and after every 40 brewing cycles for hard water. If your coffee maker needs a good cleaning, but isn't significantly clogged, white distilled vinegar may be your best option. Simply fill the reservoir halfway with cold water and halfway with white vinegar. Put a clean filter in the basket, and turn on the pot. Allow the machine to go through its entire cycle and then discard the water and vinegar mixture. Refill the reservoir with clean cold water and run through a normal cycle again. Discard the water and refill with clean water once more. Run the machine again to flush out any remaining debris and get rid of the vinegar scent. If you simply can't tolerate the smell of vinegar, lemon juice may be used instead. Lemon juice is acidic, which means it will eat away at any mineral deposits, but it also leaves behind a pleasant smell. Lemon juice is not recommended for severely dirty or clogged coffee makers, however. 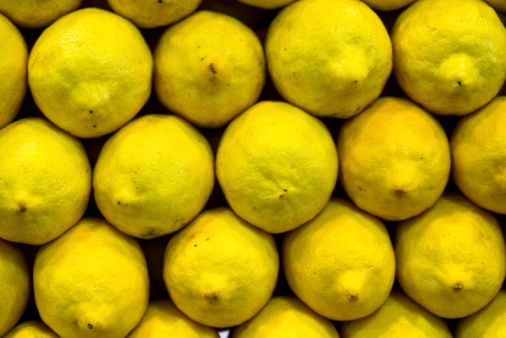 Use the same technique for cleaning with vinegar, and continue brewing with cold water until you can no longer smell lemons. For severely dirty coffee makers, vinegar or lemon juice may not be strong enough. If the state of the machine is affecting the taste or smell of the coffee, the brewing time or the heating element, a commercial product may be your best bet. A professional lime and rust remover will get rid of the toughest mineral deposits inside your machine. To use, fill the reservoir with cold water and then add 2 tbsp. of liquid lime and rust remover. Turn on the machine and run it through a regular cycle. When done, empty the water and refill the reservoir with clean water. Run through once more and then you should notice a considerable difference. Cleaning your coffee pot regularly with vinegar or lemon juice will prevent it from becoming severely dirty and will reduce the need to use chemicals. Once the inside of your coffee maker is clean and working properly, place any removable parts in hot, soapy water and wash as you normally would. Removable parts include the coffee pot and basket. You might also be able to wash them in the dishwasher, but refer to your user's manual to make sure this is safe for your particular model. Dry the parts thoroughly and then replace. The outside of the coffee maker can be wiped down with a clean cloth, which has been dampened with soapy water. 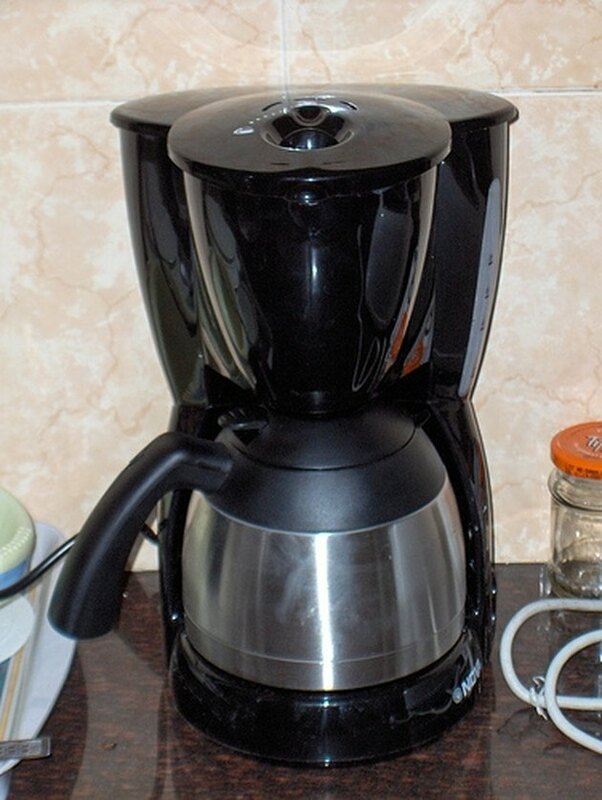 Never submerge your coffee maker in water, as this will damage the electrical components.